We both laughed. How could you not? It’s not every day that someone tells you they’re a glazed donut hole. After our smiles and laughter I asked her why she decided to come clean and tell me about her food indiscretions. After all, I would never know she tossed a few glazed holes into her mouth and by telling me she was in essence letting me know that she fell off the wagon. This was the moment that I realized we are so much more than just what we eat. Being fit and eating right is not the end-goal. In fact I would argue that it is the vehicle in which we transform who we are into who we want to be. Is the science of losing weight easy? Maybe. I don’t believe it’s quite as simple as calories in versus calories out, but I don’t believe it’s much more complicated than that either. What is hard is the mindset change. If we are lying to ourselves about how active we are or if we’re lying to our doctor about how much sleep we’re getting or if we lie to our coach about what foods we’re eating then we can bet the farm that we won’t go far in reaching our goals. We are what we eat to a degree. The largest part of who we are is our integrity and how we handle the transformation. 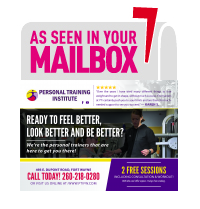 If you’re looking for someone to help you in your journey to being fit and healthy for the long-term, please visit my website at www.ptifw.com and see how we helped others in their transformation. Oh dear just call me SPUD cause I love me some potatoes. I have heard that saying and enjoyed your blog Josh.